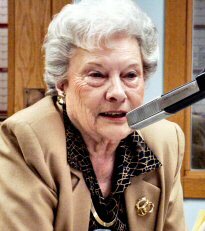 Mabel Louise, from 2013, by recording on the air Thursday at 11:15 am. It has been 20 years since the United States Women's Hockey team brought home a gold medal from the Olympics. Team USA forward GiGi Marvin Joins Greg on Sports and Commentary to talk about the squad heading to the 2018 games in South Korea nest month, the tournament field and her faith. Part 1 of a series. A connection in Atlanta, of course.